Thank you for your interest in Bixby School! Bixby is truly a special community. Founded in 1970, our school is organized around the belief that children are unique individuals, each with their own abilities, interests, and needs. Our school design provides students with opportunities for healthy risk-taking and responsibility for choices, feeds children’s natural curiosity and intrinsic joy of learning, and cultivates critical thinking skills and mastery of concepts. Our shared values are respect, responsibility and empathy. Bixby has been celebrating and supporting students and families for almost 50 years. 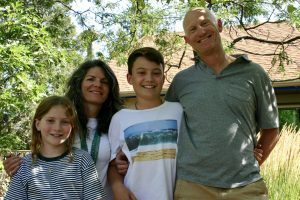 Pat Baker and Harlan Bartram, two gifted educators, and 7 families first started Bixby School as a place for teaching and learning to occur in a way that they did not see happening in traditional schools at the time. Attention to the whole child, and a customized, responsive approach to learning were uncommon in 1970. A lot has changed in education and in our world since Bixby first began, and Bixby has evolved and grown as well over that time. One of the things that has remained constant is our core belief that, “committed, well-qualified teachers are fundamental to the success of our school.” Bixby is and has always been a place distinguished by its faculty, each of whom is an expert in their field and passionate about teaching children. As our co-founder, Pat Baker, often said, “Bixby graduates are the kind of interesting and interested people that others want to be around and appreciate having on their team or project, or as their friend.” As I meet with alumni and parents of alumni of all ages, this measure of our success certainly rings true. Please reach out to me if you are interested in learning more about Bixby. We are pleased to welcome families who share our love of children and our passion for great teaching and learning.